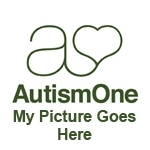 Let me extend to you my belated personal welcome to our AutismOne Social Network. AutismOne is now the “one-stop-shopping center” for information about autism. We have the annual conference in Chicago, AutismOne radio, the Elizabeth Birt Center for Autism Law and Advocacy and now the AutismOne Social Network (and more to come).